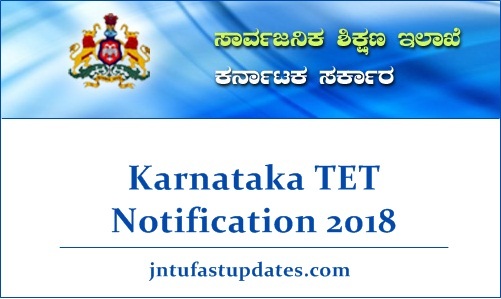 Karnataka TET Notification 2018: Department Of School Education, Government Of Karnataka released the notification for Teacher Eligibility Test (TET) notification 2018 -19 for primary and secondary grade school teachers. Aspirants interested to apply for KTET 2019 can apply from december 5th at schooleducation.kar.nic.in. Karnataka TET Application process starts from 5th December 2018 and ends by 25th December. While the last date to pay the examination fee is 27th December. Aspirants having the suitable eligibility criteria can apply through online within the specified dates. 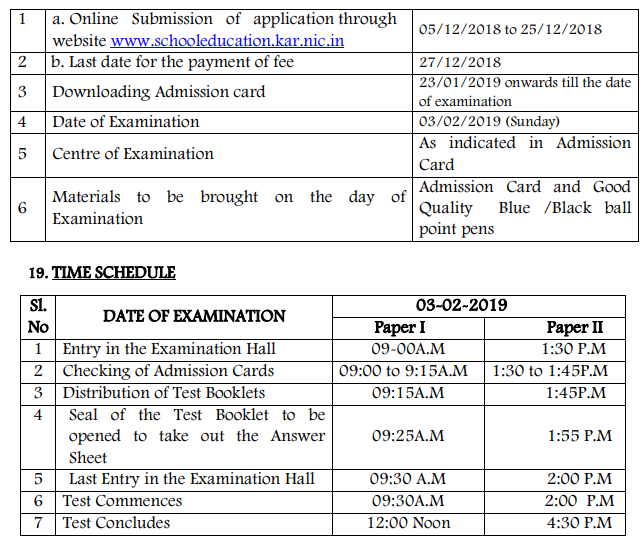 Karnataka DSE has scheduled to conduct the Karnataka TET examination on 3rd February 2019. Aspirants applying for Karnataka TET Paper 1 and Paper 2 can get ready to challenge the examination as there is no much time for the examination. Candidates acquiring good merit in the examination will have the good scope to get the teaching jobs in the state of Karnataka. Department Of School Education, Government Of Karnataka is going to conduct the Teacher Eligibility Test (TET) examination in the state of Karnataka. 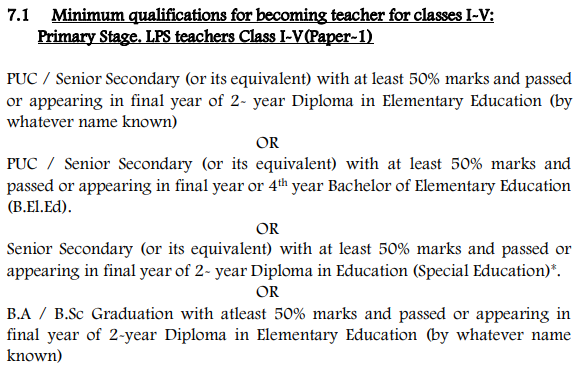 Candidates dreaming to become primary/secondary grade teachers in Government schools of Karnataka have to qualify the TET examination with requisite marks. DSE Karnataka annually releases the TET notification for interested aspirants wishing to become the teacher. This test is mandatory for getting a teaching job in government schools from class 1 to class 8. They are going to be 2 Papers in this exam. Paper 1 meant for teachers who are intended to teach for class 1 to class 5 and Paper 2 is for the teachers who are intended to teach for class 6 to class 8. Candidates willing to apply for Karnataka TET 2019 can visit the DSE Karnataka official website, schooleducation.kar.nic.in for KTET prospectus and application form. Candidates must have passed in PUC/ Senior Secondary with 50% marks or B.A/ B.Sc Graduation & Diploma in Elementary Education or Bachelor of Education (B.Ed) or Bachelor of Elementary Education (B.El.Ed). Candidates applying for Karnataka TET 2019 Can check the detailed details about KAR TET Educational qualification details from the following. Age Limit of the Applicants must be in between 21 to 40 years. Candidates belong to reservation category will get age relaxation as per norms. 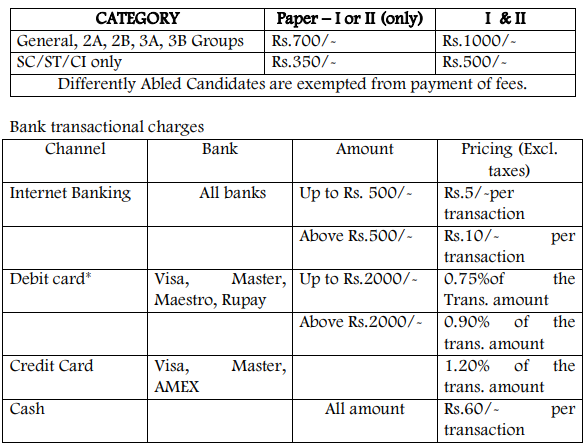 Aspirants applying for the KARTET 2019 must pay the application fee through online while applying for the examination. How to Apply Online for KAR TET 2018-2019? Interested and eligible aspirants can apply through online at DSE Karnataka official website, schooleducation.kar.nic.in from 5th December to 25th December. Registered candidates have to pay the application fee before 27th December. Kar TET 2018-19 Online application form is presently accessible of DSE Karnataka portal. After registering with the DSE website, aspirants can apply for the KTET 2018 -19. I didnt get register number what can I do? My declared application has some correction… what I do now?